Vila Praia consists of 4 types of apartments 1 &2 Bed, one per floor, which join to perfection the modern lines with the image of summer cottage, typical of the Estoril area. This apartment has a private swiming pool, parking and storage room, and a private terrace which enjoys privileged views. Cascais lighthouse and Santa Marta museum Cascais and Estorial are among the most cosmopolitan seaside resorts in Portugal. The former is a little old fishing port which was made fashionable in the early 19th century by the Portuguese nobility. The latter is a "trendy" resort offering top of the range hotels, gastronomic restaurants, late night bars and a very well known casino. Between the two is a magnificent seaside promenade of around 3 kilometres. With splendid beaches and a particularly pleasant climate, their reputation just grows and grows. 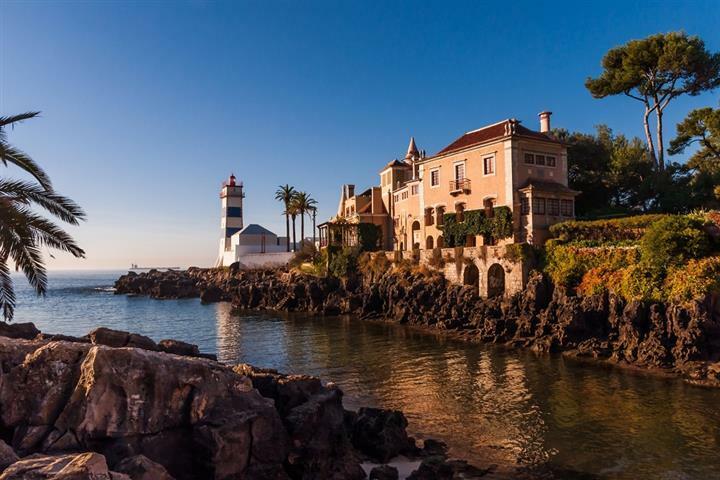 So, naturally, like in all sought-after places, the properties for sale in Cascais and Estorial are not the cheapest on the Portuguese market. But there is a really wide choice, if you want to find land, a studio, duplex apartment, villa... in Cascais or Estoril, it just depends on your taste and budget.